Hodgkin lymphoma has always been one of those cancers where not much was understood about the cause of lymphoma. The only known factor that seemed to matter was infection with the Epstein Barr Virus (EBV). 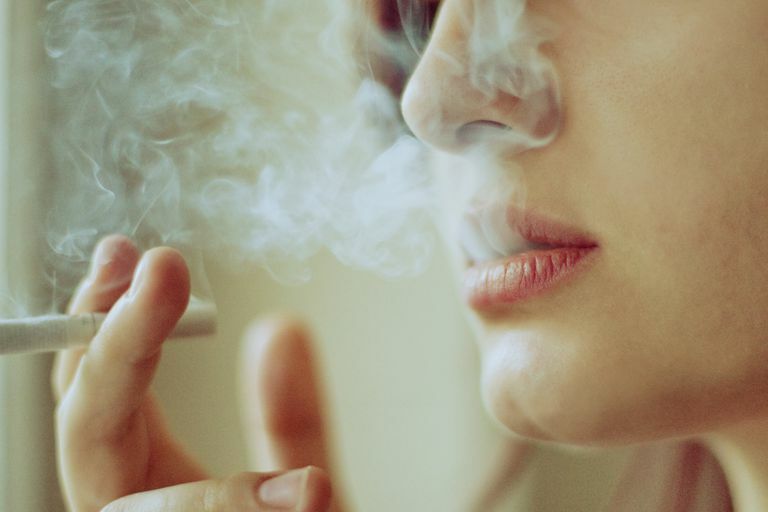 But recently published research has shown that smoking may have a role in Hodgkin lymphoma risk. Overall, smokers tend to have a 40% higher risk of developing Hodgkin lymphoma. The risk was higher among current smokers (those who have been smoking within the last two years) than among those who have quit smoking. The risk reduces to the same level as non-smokers about 10 years after quitting. That's good news for quitters and a reason to consider doing so if you are a current smoker. Those with Hodgkin lymphoma who have Epstein Barr Virus (EBV) infection seemed to have a much stronger link with smoking than those in whom the lymphoma is EBV negative. This suggests that smoking and EBV may interact to increase the chance of developing Hodgkin lymphoma. We don’t know how this interaction might take place. But a smoker who knows they are EBV positive has even more incentive to quit smoking. There seems to be no link between alcohol intake and Hodgin lymphoma risk. That's good news for those who enjoy rare or moderate drinking. Reviews of studies since the 2007 study continued to find an increased risk among smokers for Hodgkin lymphoma. Cancer Research UK says it amounts to 10-15% higher risk for people who ever smoked compared with people who have never smoked. But as with the 2007 study, the risk is mostly associated with people who are currently smoking. It is also dose-dependent — if you smoke more, your risk also goes up, and if you smoke less, it isn't as elevated. The effect is seen to a greater degree by men, so gender seems to play a role. It is also more pronounced the older you get, which may relate to the number of years someone has been smoking. The good news is that childhood Hodgkin lymphoma doesn't have an increased risk if the mother smoked during pregnancy. While there are many reasons why a pregnant woman shouldn't smoke, raising the risk of Hodgkin lymphoma doesn't seem to be one. These results add another cancer to the list of smoking-related cancers. If you’re smoking, here’s another reason to stop. It probably isn't at the top of the list of reasons, but if you have a parent, friend or relative with Hodgkin it may be the reason you need to take the step to become a quitter. Willett EV, O’Connor S, Smith AG, Roman E. Does smoking or alcohol modify the risk of Epstein-Barr virus-positive or – negative Hodgkin lymphoma? Epidemiology. 2007;18:130-136. Sergentanis TN, Kanavidis P, Michelakos T, et al. Cigarette smoking and risk of lymphoma in adults: a comprehensive meta-analysis on Hodgkin and non-Hodgkin disease (link is external). Eur J Cancer Prev 2013;22(2):131-50. Kamper-Jørgensen M, Rostgaard K, Glaser SL, et al. Cigarette smoking and risk of Hodgkin lymphoma and its subtypes: a pooled analysis from the International Lymphoma Epidemiology Consortium (InterLymph) (link is external). Ann Oncol 2013;24(9):2245-55. Castillo JJ, Dalia S, Shum H. Meta-analysis of the association between cigarette smoking and incidence of Hodgkin's Lymphoma (link is external). J Clin Oncol. 2011;29(29):3900-6. Antonopoulos CN, Sergentanis TN, Papadopoulou C, et al. Maternal smoking during pregnancy and childhood lymphoma: a meta-analysis (link is external). Int J Cancer 2011;129(11):2694-703.